Looking for a fun scratch card game at Wicked Jackpots? Look no further than Noughts and Crosses! It will take you back to your childhood days, but this time, you'll be winning big! Good luck! 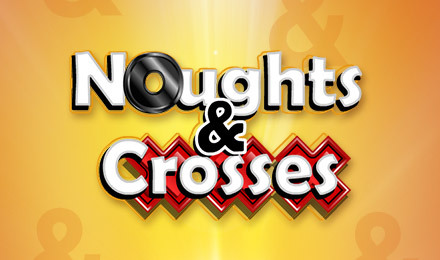 Noughts and Crosses resembles your traditional tic-tac-toe game, but in a scratch card form. It will definitely have you reminiscing about your childhood days, playing in the schoolyard. The game has a bright yellow background, and you might just win up to £10,000 by lining up the black noughts and red crosses. All you have to do is place your bet and get ready to win! Get three crosses in a row to get the ultimate prize. Simply scratch today at Wicked Jackpots!